The statistic ranks the leading high quality brands according to consumers in British Columbia in 2014, based on an index score. 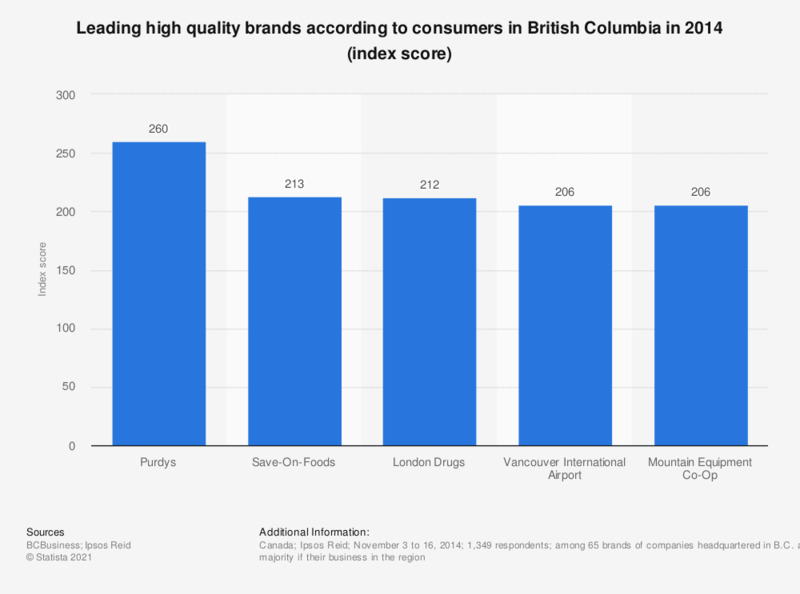 The results indicate that Purdys was the top high quality brand among British Columbians that year since it scored 160 points higher than the average brand in the region. Save-On-Foods ranked second with a 213 index score, which means it scored 113 points higher than the average brand studied for quality. The average index score was 100. Statistics on "Brands in Canada"
Which of the following brands have you talked about with friends and family in the past two weeks?